So I've decided to do a new segment on my blog called Gadgets in Movies/TV Shows wherein I attempt to identify the models of the gadgets used in a particular movie or show in case you're interested in buying the same one. First up, we have the recent episode of Prison Break which is boxed in. 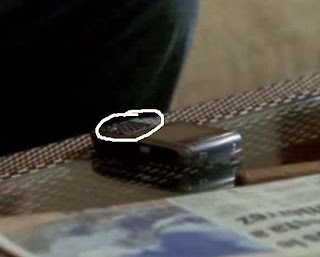 As you can see, Lincoln has a mobile phone which looks like a Blackberry, there's no doubting the QWERTY keypad and the design but which model is it? 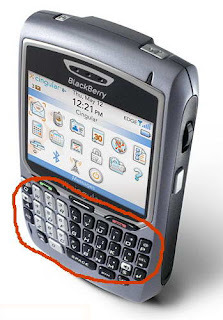 Based on the back side of the device and the color of the QWERTY keyboard (see encircled portion), this device is a Blackberry 8700. 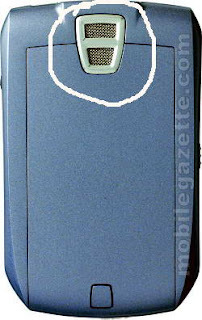 It's a fairly old model of the Blackberry, released in 2004 and is probably obsolete by now which means you probably won't get the chance to buy the same model, but you could opt for a newer model of the Blackberry like the Blackberry Pearl and the 8300 Curve which as a built-in digital camera. Not obsolete. Still work on any network (BBs typically don't go obsolete). I just got rid of my 8700... 8820 is a better model in every way. Do you have a screenshot or know what episode Susan used it?